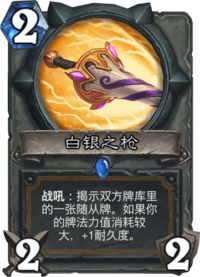 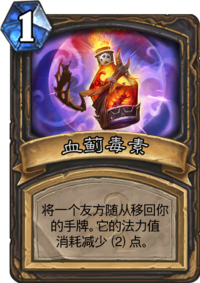 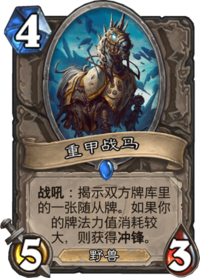 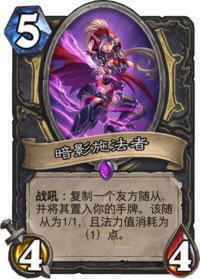 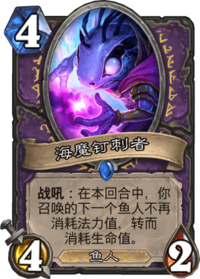 卡牌或者英雄技能的法力值消耗 (EN:mana cost ) （俗称费用）决定了你需要多少法力值才能从手牌中打出该牌或者使用英雄技能。The number is displayed inside a blue crystal in the upper left corner of each card, and at the top of each Hero Power. 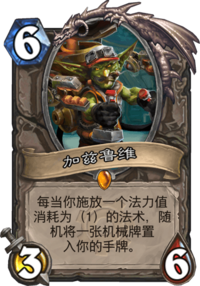 When a card is played or a Hero Power used, its mana cost is deducted from the player's supply of mana for that turn. 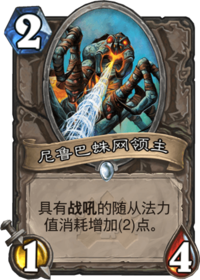 Some effects can modify mana costs, although no mana cost can ever be less than zero. 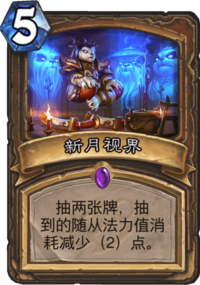 Mana cost might be considered an attribute or statistic of a card, but does not affect the card or its outcome in any other way. 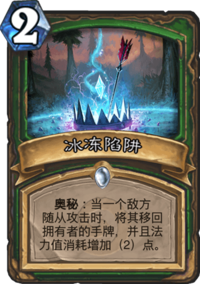 The mana cost of a card determines how early or late in the game it may be played and is usually an indicator of the card's overall power. 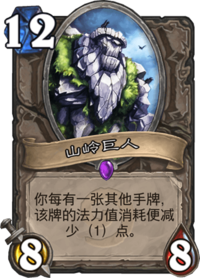 The distribution of mana costs in a deck is the mana curve, an important strategic consideration. 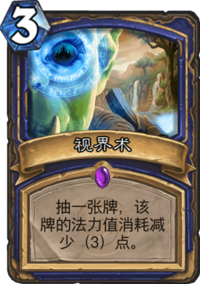 Almost all playable Hero Powers cost 2 mana, but this can be modified through various effects. 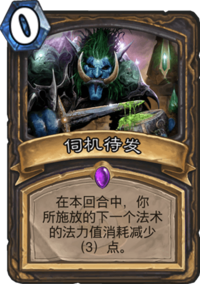 Cards like Dread Corsair that modify their own mana cost only work while in the player's hand - they have no effect while the card is anywhere else, such as in the player's deck or in the battlefield (see in-hand effects for details). 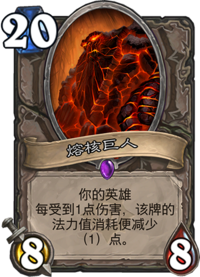 Most of them are ongoing effects. 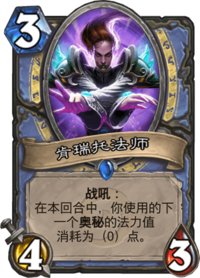 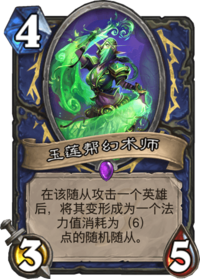 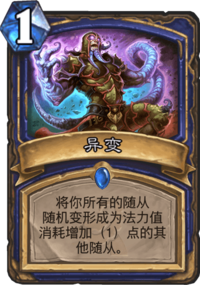 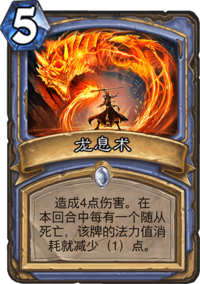 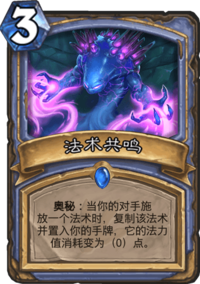 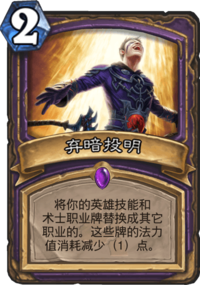 Cards like Mana Wraith and Maiden of the Lake that modify the mana cost of other cards or Hero Powers have ongoing effects which apply a modifier to all eligible cards in hand or Hero Powers: removing or neutralising (for example by using Silence effects) the source of the effect will therefore immediately remove the modifier from any affected card or Hero Power. 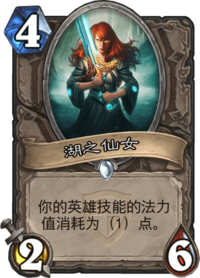 Ongoing effects apply only to relevant cards in hand (including returned cards) - they do not apply to cards in play. 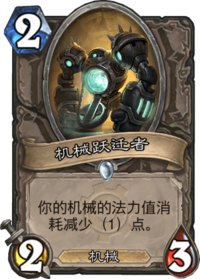 For example, a Mechwarper would allow a Clockwork Gnome to be played for 0 mana, returned to the hand, and played for 0 mana again, but even with the Mechwarper in play a Recombobulator would cause the Clockwork Gnome to be transformed into a 1-mana minion, not a 0-mana one. 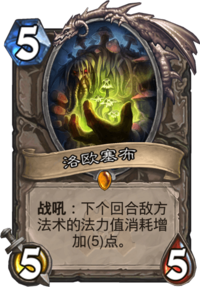 Cost-modification enchantments may be created by spells (like Unstable Portal), triggered effects (like Emperor Thaurissan) or Battlecries (like Millhouse Manastorm and Saboteur). 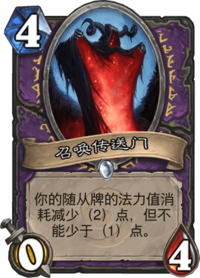 Cost-modification enchantments that are attached to a card in hand are removed once the modified card is played: effects which depend on mana cost will then use the original mana cost of the card and, if it is returned to the hand, re-playing it costs the original amount. 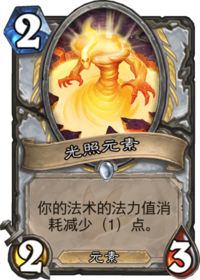 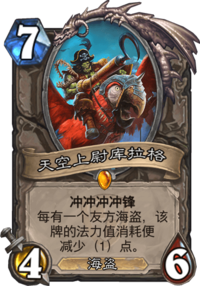 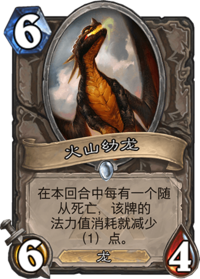 For example, a Bloodfen Raptor drawn with Call Pet costs nothing when first played, but would cost its base of 2 mana to re-play if returned to the hand by a Youthful Brewmaster, and would be transformed into a 2-cost minion if targeted by a Recombobulator. 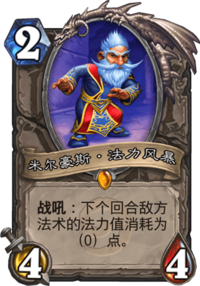 Cards like Millhouse Manastorm and Fencing Coach create cost-modification enchantments that are attached to a player instead of a card. 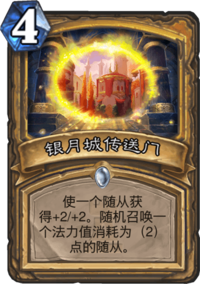 Usually these enchantments have a limited duration and expire by themselves "the next time something happens" or "at the end of the next turn". 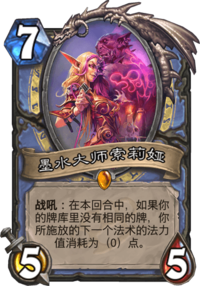 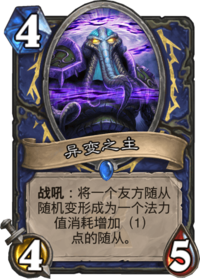 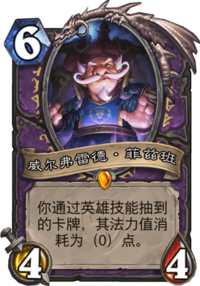 If Millhouse Manastorm is played followed by Loatheb, spell costs are first set to 0, then increased by 5 for a final cost of 5. 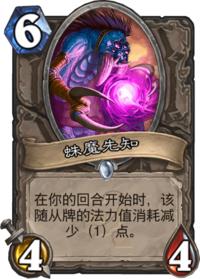 In the opposite order, spell costs would first increase by 5, then be set to 0, for a final cost of 0. 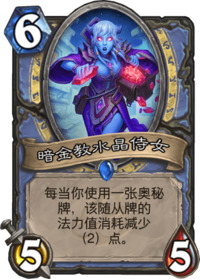 If Emperor Thaurissan's effect triggers, reducing the mana cost of an in-hand Wolfrider to 2, and Naga Sea Witch then comes into play, her effect immediately increases the Wolfrider card's cost to 5; at the end of that turn, Emperor Thaurissan triggers again, reducing the Wolfrider's mana cost to 4. 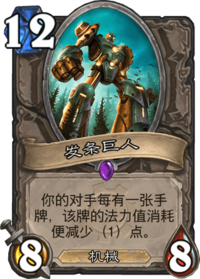 If Emperor Thaurissan's effect triggers, reducing the mana cost of an in-hand War Golem to 6, and Aviana then comes into play, her effect immediately reduces the War Golem card's cost to 1; at the end of that turn, Emperor Thaurissan triggers again, reducing the War Golem's mana cost to 0. 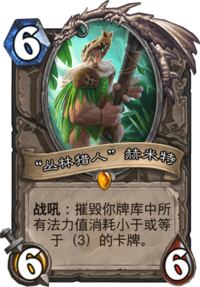 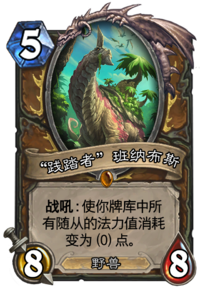 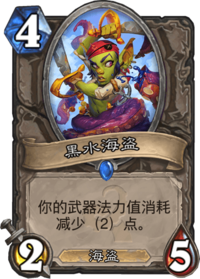 If you have a Naga Sea Witch in play and a Fiery War Axe equipped and draw a Dread Corsair from your deck, the Dread Corsair's final mana cost will be 5: the Dread Corsair card, being in your deck since the beginning of the game, is older than the Naga Sea Witch minion in play, and thus its effect is applied first, and then overwritten by the newer one by Naga Sea Witch. 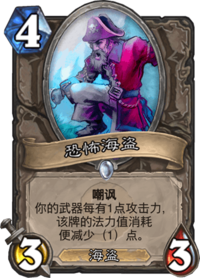 However, if you later return the Dread Corsair minion from the battlefield to your hand, it becomes a new Dread Corsair card, which is then newer than the Naga Sea Witch minion: thus, the Dread Corsair card's cost is first set to 5 by Naga Sea Witch and then, if you are still equipping the Fiery War Axe, it is reduced by 3, to a final mana cost of 2. 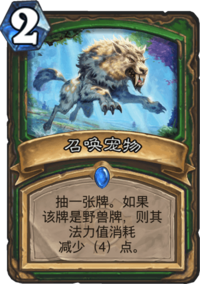 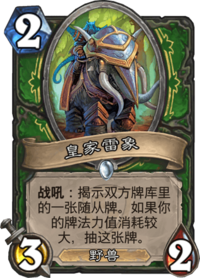 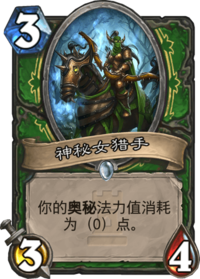 If Knight of the Wild triggered twice before Aviana enters play, early cost-modification effects are overridden by the "newer" Aviana effect, for a final mana cost of 1; if you later summon another Beast, Knight of the Wild triggers again, reducing its mana cost to 0. 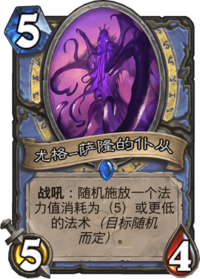 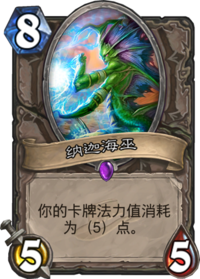 If you play Naga Sea Witch and then Aviana, minion cards in your hand will cost 1; if you play Aviana and then Naga Sea Witch, minion cards in your hand will cost 5. 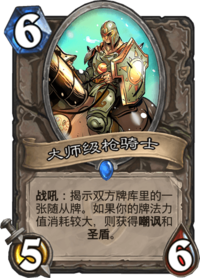 Suppose you have Wilfred Fizzlebang on the battlefield. 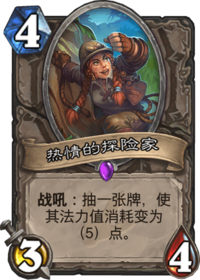 If you play Aviana and then use Life Tap, the minion card you draw will cost 0; if you use Life Tap and then play Aviana, the minion card you draw will cost 1. 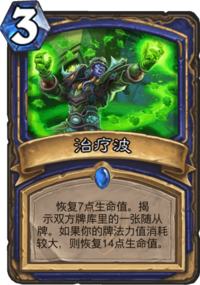 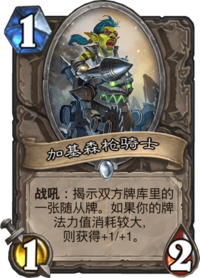 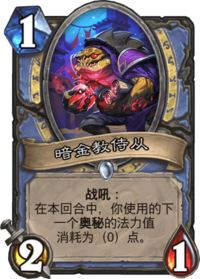 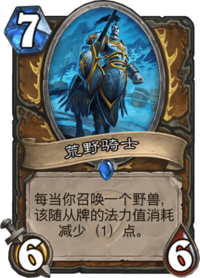 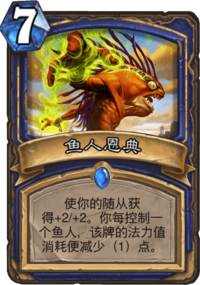 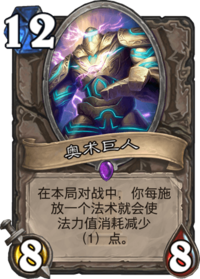 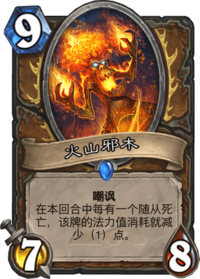 If a card or Hero Power's modified cost would be negative, 0 is displayed and used instead (players can never gain mana from paying the cost of a card or Hero Power). 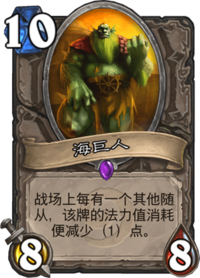 This minimum of zero is only enforced after all other cost modifications have been taken into account: this allows reductions like Far Sight to counteract subsequent increases such as Loatheb's. 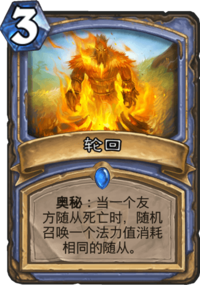 One may think of cards and Hero Powers as having two mana costs, an "actual" cost and a "hidden" cost. 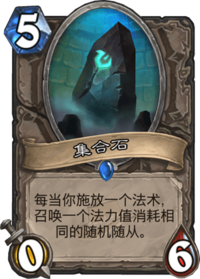 The hidden cost is simply the original mana cost plus or minus all modifications, and has no lower limit. 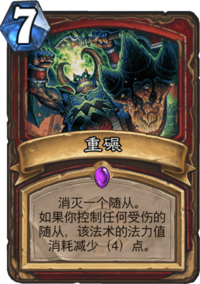 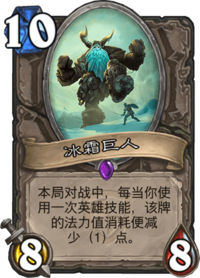 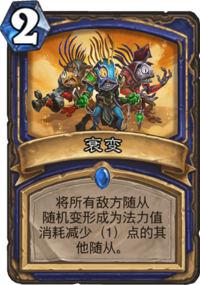 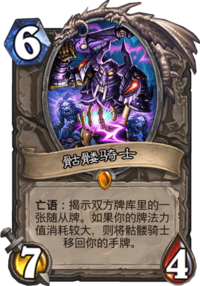 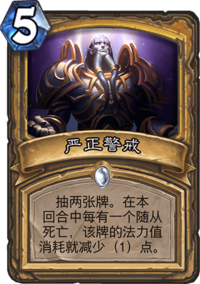 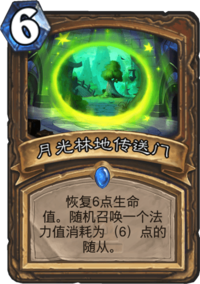 The actual cost, which is displayed on the card or Hero Power and charged when the card is played or the Hero Power is used, is the greater of the hidden cost and 0. 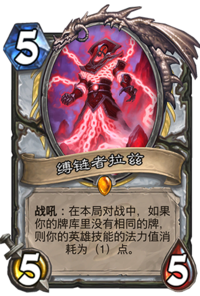 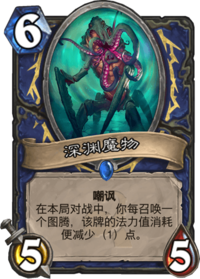 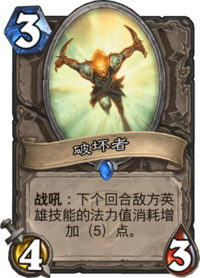 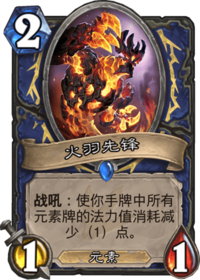 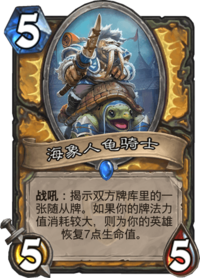 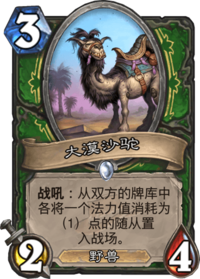 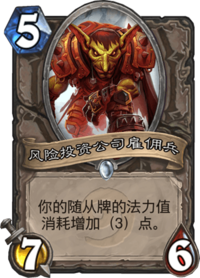 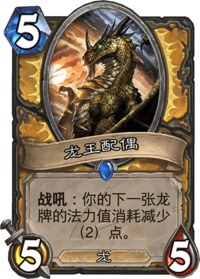 For example, if Far Sight draws an Earth Shock, the Earth Shock has a hidden cost of -2 and an actual cost of 0; if the opponent then plays Loatheb, the hidden cost increases by 5 (-2 + 5 = 3) and the actual cost rises to 3. 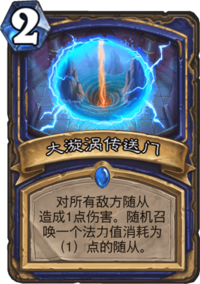 Thus, since only actual costs are displayed, apparently Far Sight reduced the cost of Earth Shock only by 1 (instead of 3) and Loatheb increased it only by 3 (instead of 5): however, even though Far Sight's reduction of -3 was temporarily, partially nullified by the lower limit of 0, it still remained in effect for later recalculation of the mana cost. 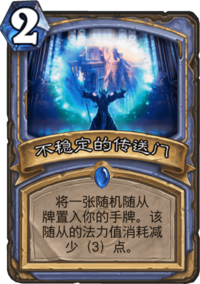 if a card's modified cost is equal to its base cost (for example because multiple cost modifying effects cancel each other out), the colour will not be altered. 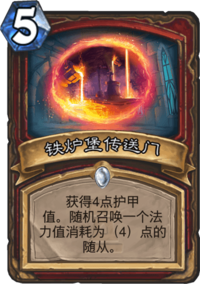 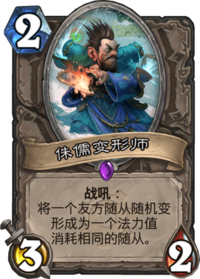 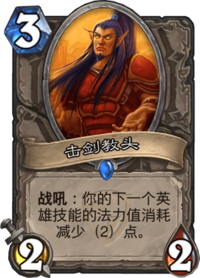 The mana cost of a card determines which round it will become available to play, as well as which cards it can be used in combination with. 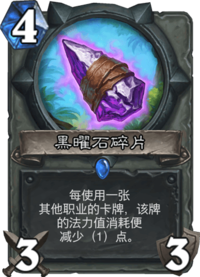 The mana curve of a deck describes how many cards are present at each mana cost, and is an important factor determining options available to a player based on the amount of mana available on each turn. 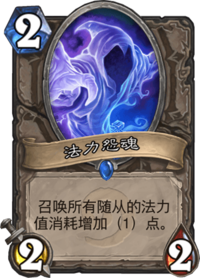 When building a deck, it is wise to consider whether mana costs of cards and combinations follow the desired curve. 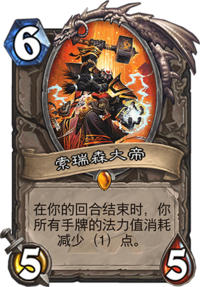 Expert players can also use this knowledge to predict which cards may be played on certain rounds. 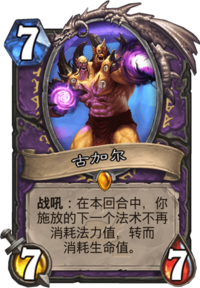 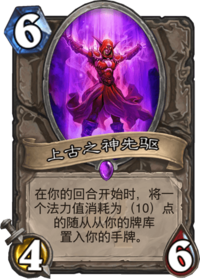 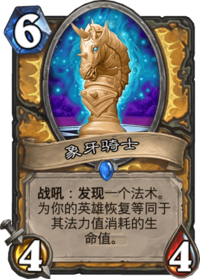 Mind Control, for instance, generally only becomes playable from round 10 onwards, while a Leeroy Jenkins + Power Overwhelming combo is available once the warlock has 6 mana.